Find the perfect look for your home whilst controlling the sunlight with our luxurious collection of made to measure blackout vertical blinds. 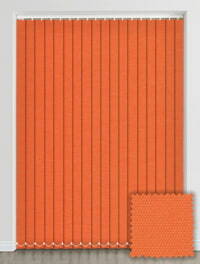 They are a chic and contemporary way to bring colour, style and functionality to any room. 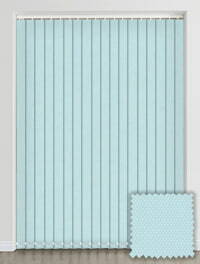 Perfect for larger windows or any window where a greater degree of flexibly over both privacy and light is required. Available in a wide range of beautiful plain, patterned, textured, PVC, neutral and colourful finishes. The ability to control how much light enters a room is extremely important – particularly in bedrooms, nurseries, studies and offices. 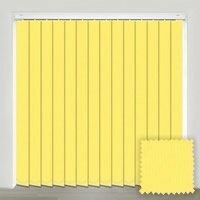 Our blackout vertical blinds are perfect for doing just that and also extremely efficient at controlling both heat and privacy at the windows. They can be custom made in an extensive selection of colours, finishes and sizes meaning you can find the ideal look for your rooms décor. They come supplied with child safety features as standard giving you complete peace of mind. Perfect product great updates with purchase and fab price. All custom made for my sons room ;) Thank you. Love the pattern choice. Perfect fit and very easily installed with easy to follow instruction leaflet. Makes the room nice and cosy.